Have stayed here before and the staff welcomed me and made me feel at home. I cannot find fault with anything in this hotel. i enjoyed talking with the staff. really nice and friendly. Good value for money. 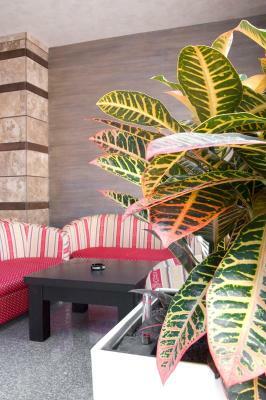 The staff was helpful, we had a parking spot, the pool was clean, the room comfortable (the air conditioning was on when we arrived so the room was nice and cool). Overall clean (just a couple of small things that could have been more thoroughly cleaned) and decent breakfast. We liked food and accomodation. 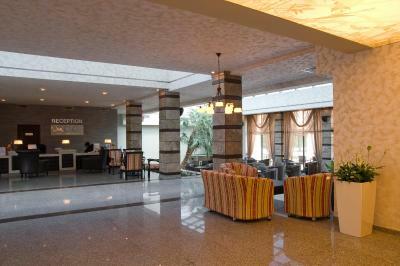 Hotel surroundings are nice as well as the staff. The food was excellent! The pool is big and clean. The staff was very friendly. They have big and free parking. Nice for couples. 6 minutes to the beach. Detelina Hotel This rating is a reflection of how the property compares to the industry standard when it comes to price, facilities and services available. It's based on a self-evaluation by the property. Use this rating to help choose your stay! 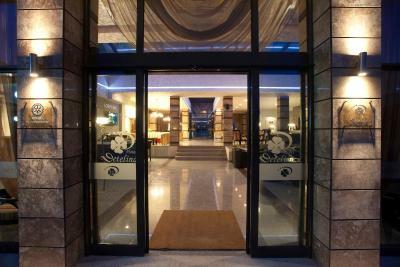 One of our top picks in Golden Sands.Hotel Detelina is situated amidst a park, 1,000 feet from the beach in the Chaika area, 2.5 miles south of central Golden Sands. 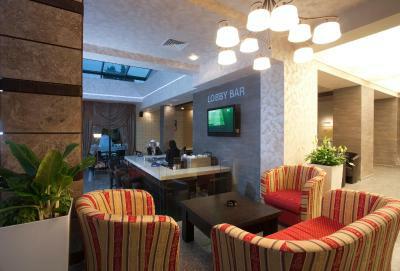 It offers air-conditioned rooms with balconies. 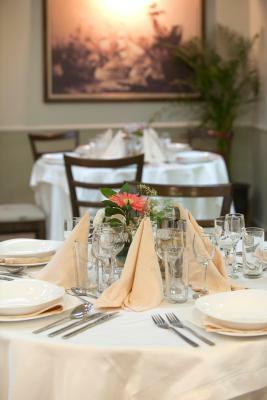 The Detelina has a restaurant serving Bulgarian and international dishes accompanied by local wines. 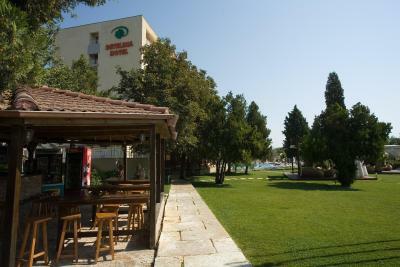 It features a covered terrace with views of the swimming pool and the park. 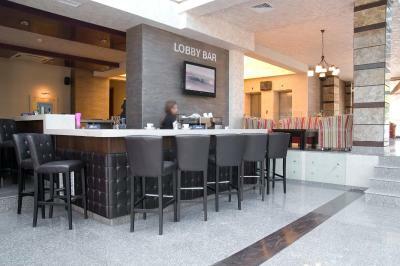 The lobby bar offers a variety of alcoholic and non-alcoholic beverages and cocktails. Hotel Detelina offers massages treatments and you can play ping-pong. 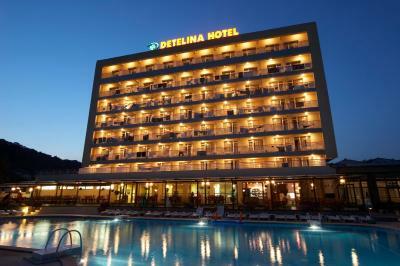 When would you like to stay at Detelina Hotel? This room with attached bathroom has satellite TV and a balcony. This apartment features a balcony, seating area and mini-bar. 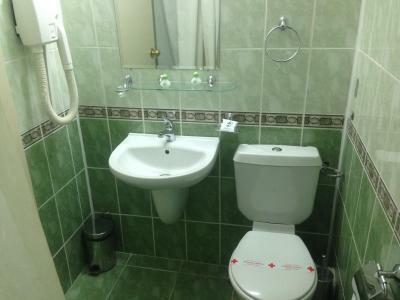 This twin/double room features a balcony, satellite TV and mini-bar. House Rules Detelina Hotel takes special requests – add in the next step! 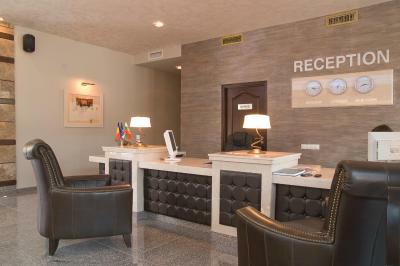 Detelina Hotel accepts these cards and reserves the right to temporarily hold an amount prior to arrival. I have booked 2 rooms with 2 large beds, but I had received 1 room with a large bed and 1 room with twin beds (for a couple is not so comfy). Sticky (in the sense that was not cleaned) furniture, sand under the carpet, hanging power outlets out from the walls. The WiFi doesn't really work in the room, works mainly if you are downstairs near the lobby. We asked for one double bed but were given two single ones. Shower in the bathroom is a disaster! Streets around the hotel are in a very bad shape. Quite far from the Golden Sands beaches. Wi-fi was free, but the signal was very poor, you have very low signal in the room. The room was a little bit dirty. They don't clean the room everyday. The pool lifesaver was always trying to move us and our kids out from the pool. He also didn't speak a word in English. The age restriction was 12 years for the pool, even though our 10 year-old could reach to the bottom with her foots. Also the location is Chaika, not Golden Sands. It's about 2-3 km to the Golden Sands center, there are absolutely nothing close to this location. The breakfast was also horrible, but maybe that's what locals are used to. Some variation, but we could eat only bread and hot chocolate. The prices are pretty expensive for drinks and food, compared to markets nearby. Also the hotel taxi was 50 levas (25 euros) from airport, when the actual taxi trip meter is about 20 levas (10 euros). 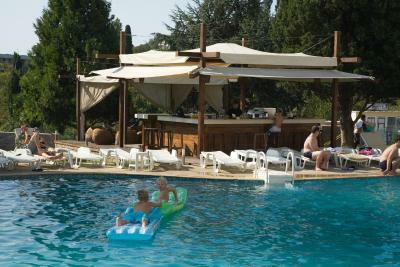 The pool was quite large, but the sunbeds were always taken/reserved. The staff was helpful when we had any questions. The highlight was the cleaner who would always place our children's toys differently. It's at a quiet location but there are nothing nearby. The breakfast was very bad. The property is ok. The pool is big enough for 20-30 people. It has a parking lot for 20 cars maybe more. The bed was broken,very old furniture,you need to switch off the tv or the refrigerator to recharge your mobile phone .